A New Hampshire man wanted in connection with the death of his wife is believed to be in the Rumford or Mexico area, police said Friday evening. 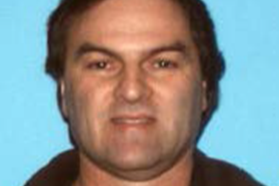 Maine State Police are looking for Denis Bisson, 52, who has been issued an arrest warrant in New Hampshire for second degree murder, according to Steve McCausland, spokesman for the Maine Department of Public Safety. Bisson is described as being 5-foot-6, 180 pounds and is believed to be driving his silver 2015 Toyota Tundra with New Hampshire license plate ALL-GD, McCausland said. He is considered armed and dangerous. Maine State Police are coordinating their search for Bisson with New Hampshire authorities. A command post has been set up on the grounds of Mountain Valley High School in Rumford, McCausland said. There have been no confirmed sightings of Bisson or his truck. Anyone who sees Bisson, his truck or has information on his whereabouts is asked to call the Maine State Police in Augusta at 207-624-7076.